In the United States, an increasing number of environmentalists, labour unions, and municipal councils (the City of Portland being one example) are mobilizing to block the growing deployment of 5G wireless, the promised next phase in The Internet of Things. So why all the sudden pushback? Big Telecom – the wealthiest segment of the US corporate oligarchy – is intent on pulling a fast one. Their stealth strategy involves installing more than 300,000 new millimetre-wave micro-antennae every 50 to 100 metres in every US city over the next several years. They are also planning to launch 20,000 powerful wireless 5G broadcasting satellites that will effectively irradiate every life form on Earth – with no prior consent. Robert F. Kennedy, Jr. and members of the Children’s Health Defense Team put it this way: 5G poses risks to all life on the planet – people, animals, insects and plants. Indeed, in two locations where it has been deployed on a test-bed basis in the U.K. and the Netherlands, there have been reports of both song bird and insect die-off. During recent US Senate hearings into 5G, Connecticut Senator Richard Blumenthal asked representatives of the cellular industry whether their much ballyhooed “Race to 5G” promotion was leavened by any measure of publicly-available independent research on its biological effects. Their answers were a disturbing “no”. If that sounds shocking, one needs to understand that owing to Reagan-era deregulation, the FCC – the US federal telecom industry regulator – is an industry-captured regulatory fiction agency. Indeed, its former Chair, Tom Wheeler, was an unabashed cheerleader for the rapid deployment of wireless 5G. Here in Canada, we are little better off. In a January 31st interview with Mobilesyrup (posted Feb. 4 and Feb. 7, 2019), Navdeep Bains, our current Minister for Innovation, Science and Economic Development (ISED), effectively said that whatever the results of [Canada’s current 5G security and safety] review are, the government would still support [telecom] carriers in deploying their 5G networks. Let that idea sink in for a minute – especially in the context of the SNC-Lavalin affair and the bullying of the Hon. Jody Wilson-Raybould. If these largely unquestioned 5G deployment plans stand, this would in effect render all of us guinea pigs in an experiment whose health impacts are unknown. Interestingly, the intended rapid deployment of wireless 5G effectively violates the Nuremberg Code of 1947, a corporate move that could be legally classified as a crime against humanity. But as worrisome as the 5G devolution is to life and health, Harvard Business School academic Shoshana Zuboff warns of another in her new book Surveillance Capitalism. It will usher in an era of greater corporate dominance and control. Thankfully, many are waking up to the impending nightmare. Indeed, some South Surrey residents woke from their own current 4G smart phone stupor during a March 6th meeting of the Crescent Beach Property Owners’ Association. There, Shaw’s Freedom Mobile sought to install a single mini-cell antenna on a height-boosted streetlight, yet without providing adequate public notification or consultation as required by federal regulation. Yet after several local residents caught wind of Freedom Mobile’s gambit, they delivered fliers to every mailbox in Crescent Beach, causing concerned residents to pack their normally sedate community hall to the rafters to express their concern. In the face of counter-arguments made by residents, among them that increased microwave emissions could harm the navigational abilities of local honey bees and migrating birds along the Pacific Flyway, Freedom Mobile withdrew their application. Yet fortuitously, residents learned something new during Freedom Mobile’s pitch: Telus had already installed 20 mini-cell antennae in their village. When that fact was revealed, residents erupted in shock and annoyance, according to Beverley Hobby, an environmental lawyer who attended the meeting. As a result, a group of concerned Crescent Beach residents is now interested in filing a formal complaint against Telus for its lack of public consultation regarding its 20 mini-cell antennae installations. And who knows, they might just succeed in getting the federal government to order them removed. 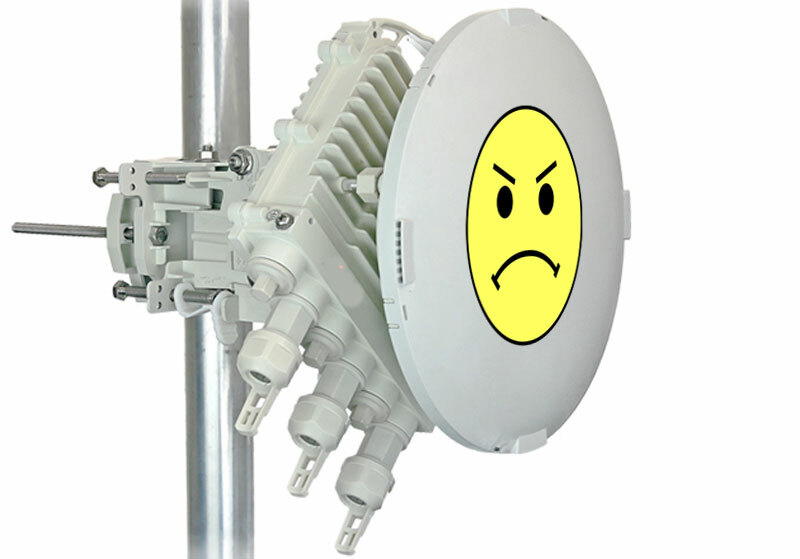 Either way, the recent Crescent Beach fiasco is a lesson in how Telecom giants are prepared to ride roughshod over public health and safety. So don’t wait until it’s too late. Write to your Member of Parliament and city council, and tell them you want a moratorium on deployment of wireless 5G in Canada until proper research has proven it safe. For those interested in knowing their right to be notified and consulted regarding the installation of radio-frequency devices including 4G and 5G cell towers, consult this ISED document.